Michelle Obama is proud and excited about her forthcoming memoir, Becoming — but as the Nov. 13 release date draws nearer, the former first lady admits she’s also “a little frightened” about how “candid and honest and open” she is in the book. “Over this time that I’ve been out of the White House, I’ve had time to think and reflect for the first time in a long time. I spent some time really thinking about the people, the stories and the experiences that have shaped me and helped me become the person I am today,” Obama, 54, explains. “I am proud of what I’ve created. I’m proud because it is candid, it’s honest, it is totally and utterly me. So I’m also a little frightened because it is so candid and honest and open,” she adds. That said, Obama is eager to share her book with the world — and to see how it empowers readers. Tickets for the event will be sold through Ticketmaster’s “verified fan” system, with 10 percent of the seats in each venue given away free to fans and local community members who might not be able to afford tickets. For the first stop on Nov. 13, in Obama’s hometown of Chicago, this means 1,300 tickets will be given away to community members. Individual ticket prices start as low as $29.50, and signed book bundles and VIP tickets will be available as well. 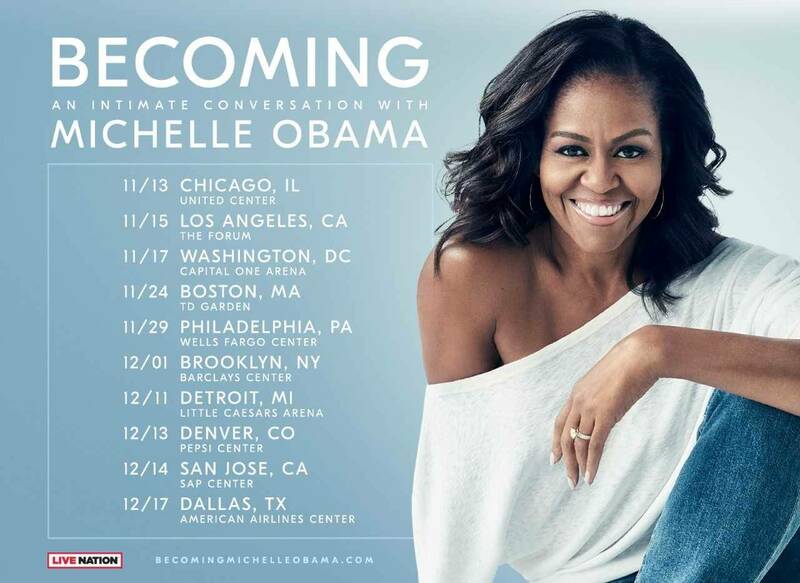 The events will feature candid conversations between Obama and a selection of to-be-announced moderators — that she says will include some famous friends and family members — about the experiences that have shaped her life, from her childhood on the South Side of Chicago, to her years as an executive balancing the demands of motherhood and work, to her time as the first African-American first lady in U.S. history. 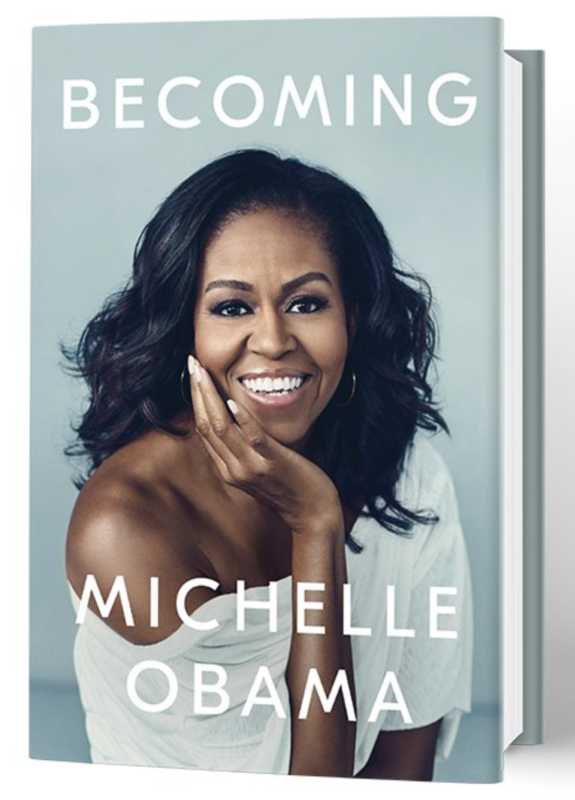 Today Penguin Random House has revealed the cover to Michelle Obama’s upcoming book, Becoming. 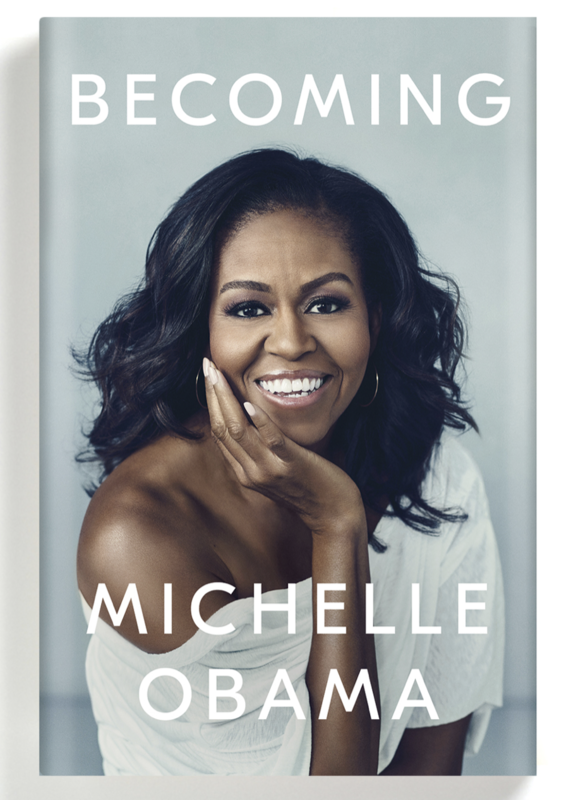 Michelle Obama’s memoir will be released on November 13, 2018. The former first lady and her husband, former President Barack Obama, last year reached a joint agreement with Penguin Random House for their respective books. The deal is believed to be well in excess of $30 million. You can pre-order the book HERE. Sign up for information about Becoming including upcoming tour dates HERE.